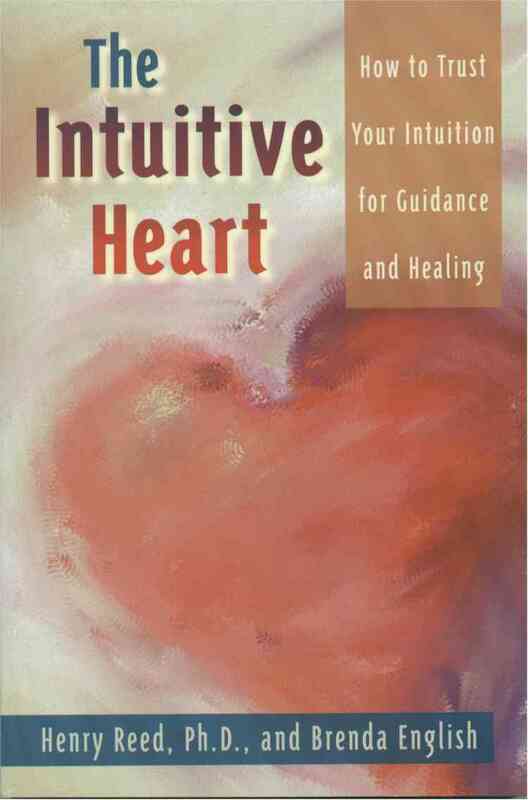 The Story behind the discovery of the principles behind the Intuitive Heart is a fascinating one. It is a story about research, about the caring exhibited by participants and how it developed into the practical program known as the Intuitive Heart Discovery Process™. My research has made a discovery that sheds new light on the relationship between intuitive functioning and spirituality. I call this discovery the "intuitive heart." This metaphor envisions caring as a path for the natural expression of intuitive ability. Suppose you care enough for someone to give of yourself to help that person. That motivation can be enough to experience an intuitive connection with that person. Many people have experienced this fact spontaneously, demonstrating that it’s a natural occurrence. More than twenty years of research investigations, involving some novel experimental methods, have developed a way to explore it intentionally. The intuitive heart is revealing its spiritual truths. The story begins for me in the early 1970s while I was a psychology professor at Princeton University. I was researching creative problem solving in dreams with students sleeping in the laboratory. I realized that the typical laboratory approach was not conducive to inspirational dreaming. Searching for an alternative approach I had a dream of my own in which I was on a vigil in a tent. That tent was upon holy ground overseen by a wise old man. Based upon a this dream, I created in 1972 a vision quest ritual using a "dream tent." The Edgar Cayce organization, the Association for Research and Enlightenment (A.R.E. ), invited me to conduct dream research at their summer camp in the Blue Ridge Mountains. I installed my dream tent at that lovely nature shrine, alongside White Rock Creek which flows through camp. I guided several campers who wished to incubate a dream in the tent in quest of inspiration. The experiment was a success, demonstrating that visions exactly like classical accounts of spiritual encounters in antiquity can still be obtained in our modern world. When I published that research (in the Journal of Humanistic Psychology), I commented that normal experimental methods, focused on manipulation and control, weren’t appropriate for transpersonal levels of the mind. When we try to go beyond the familiar boundaries of who we believe ourselves to be, it seems more fitting to use rituals of seeking, beseeching, and surrender to a higher order of harmony. Insisting on personal control or the traditional methods of mechanistic science may not allow the desired experiences to emerge. The dream tent marked the beginning of the evolution of a new research paradigm that is suitable as a spiritual path. It is a process of co-creating consciousness, a process shared among the researchers, the research participants, and the Creator. The A.R.E. moved to support this new model for doing research. In 1973 it established a board of research advisors of which I was a member. We determined that the best style of research (consistent with the ideals expressed in the Edgar Cayce philosophy) was one in which the participants learned something themselves, at the same time as the researchers learned from the data collected. At one weekend board meeting, I had a dream: A group of us have met for "research into enlightenment," and we are stumbling in the dark searching for the right method. Suddenly we begin dancing together in a circle, each one recognizing the other by a particular individual symbol that we display. As we dance, a fountain of sparks burst forth from the center of our dance and illuminate our space. We know this dance is the research method we need. Later, upon hearing my dream, the advisory board accepted it as an expression of our ideal. A drawing of the research dance adorned our first home-study research questionnaire. 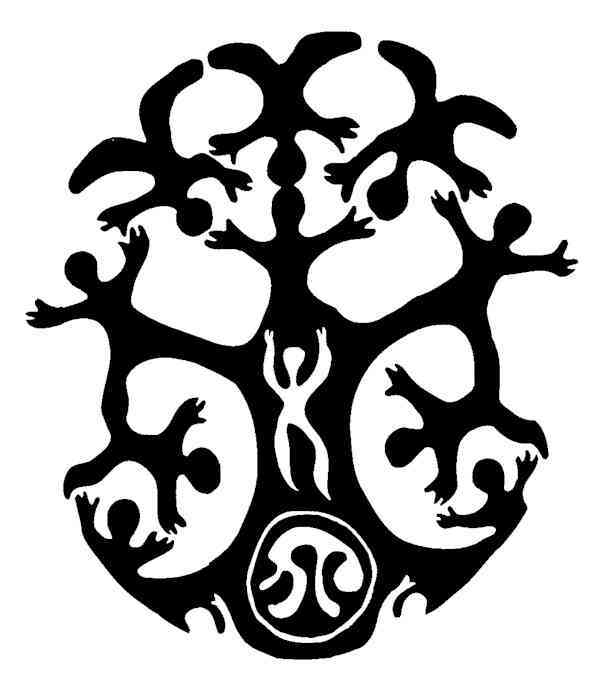 It also became the logo for Sundance: Community Dream Journal. Soon thereafter, a serendipitous event at A.R.E. Camp carried my research to yet another level of co-creative discovery. The morning after a certain person was incubating in the dream tent, someone else in the camp community approached me with a dream concerning that very person. Then another person came to me with yet another dream about that same person who had slept in the tent. These "bystander" dreams reflected the dreamers’ sincere desire to be helpful to the healing quest of the person in the dream tent. Since I alone knew the private concerns of the questing person, I recognized that these bystander dreams had clear telepathic elements. Among a group of people who have gathered together for the ceremony, a volunteer who is suffering from some personal dilemma asks for help. This volunteer does not reveal the nature of the problem, but our group "sleeps on it" and tries to help out in our dreams. The next morning, the group shares their dreams and examines them for what help they may contain for the volunteer focus person. In the twenty years since first attempting this experiment I, and many others who have conducted this ceremony themselves countless times, have observed similar results. Usually no one individual dream appears to have any obvious relevance for the volunteer focus person, especially since the group doesn’t know the nature of the volunteer’s problem. When we view the dreams as a whole, however, we find surprising commonalities. The dream themes form patterns that ultimately prove, when the volunteer does finally reveal the nature of the problem, to zero in on the targeted problem and point to potentially helpful lines of resolution. Even more revealing and helpful is when the dreamers reconsider the dreams and interpret them for what they reveal about themselves. The dreamers find their dreams are attempting to achieve resolution in their own lives to some aspect of the same dilemma that is confronting the focus person. In one case, the focus person had just lost his job. One dream helper saw in her own dream how she needed to confront certain changes in her life situation that have made some of her comfortable patterns no longer advisable. It is as if the focus person’s unrevealed problem acts like a telepathic innoculant, and each helper then creates healing antibodies during the dream state. In effect, each participant inwardly knows the plight of the volunteer and inwardly seeks to create a gift of resolution. Time and again I’ve seen the Dream Helper Ceremony demonstrate the principle of the intuitive heart: Out of compassion, we find the other person within our own experience. Truly this is an experience of oneness individually expressed. Obviously the dream helper ceremony is not the usual telepathy experiment. Rather than isolating the participants from each other, the ceremony creates a sense of spiritual community. Rather than attempting to prove something, it attempts to be helpful, and in so doing it creates some meaningful intuitive connections. Taking these intuitive connections to the next step, to experience them directly in the conscious state of mind, did not happen right away. It took several years to digest the implications of the Dream Helper Ceremony and to realize what the next step would involve. It has required facing the fact that we are shy about the implications of face to face telepathy. A teenager who participated in a dream helper ceremony, for example, remarked that to think that your own dreams are perhaps not really yours is "spooky!" Translation: the dissolving of boundaries awakens concerns over unwanted intimacy. Intimacy, however, is an inherent, but little discussed, aspect of oneness. My research using this approach to telepathy has determined that intimacy is one of the new frontiers of psychical research. Today we are gaining a greater appreciation for the axiom of "oneness," or the interconnectedness of all beings. It was Edgar Cayce’s first principle, as well as many other psychics. In mythology, oneness is the condition before the creation of the separate beings. In psychology it is the condition of merger between mother and infant before the baby begins to experience itself as separate. Learning to tell lies and to keep secrets, for example, are two important ways a child discovers that its mind and mommy’s can be distinct. I have found many examples, in fact, of people whose family members had unwittingly stumbled onto family secrets through accidental ESP. Many stories contained some embarrassment. Sometimes ESP is unwanted. It would seem we are not ready to live in a consciously psychic community until we are ready to do without our "fig leaves." In fact, as I sifted and correlated insights from the statements of psychics with findings from parapsychological research and interpersonal behavior, I became convinced that the psychology of intimacy (more than the biophysics of brain wave transmission) governs telepathy. To explore this insight, I created several "rituals of discovery," experiments that provide an intimate, new form of psychical research. Unlike experiments based upon a mechanical model, they involve meaningful situations and tasks that are engaging to the caring human being. These rituals often have symbolic dimensions. They allow people to explore possibilities of experience and to discover truths that may have applicability in their own lives while simultaneously providing data that may have significance for a scientific theory. Rather than a laboratory, the natural places for these rituals of discovery are conferences, workshops, and study groups, where people are intent upon learning and self-exploration with others. To design one such ritual of discovery, I drew upon parapsychology’s roots in hypnosis. An important phenomenon from that history is "rapport," or the remarkable ability noted in the late 1800s of the hypnotized subject to respond to the unspoken suggestions, and even private experiences, of the hypnotist. Hypnotic rapport led both to the discovery of "medical clairvoyants," such as Edgar Cayce and others, as well as to the laboratory study of telepathy. Rapport is a form of oneness that can be quite intimate because of its co-creative nature. In my recreation of this phenomenon as a ritual of discovery, I teach people to become absorbed in the sound of another person’s voice vibrations, while observing their own inner (i.e. intuitive) responses. In one version of this experiment, called "The Getting to Know You Game," the ideal is "mutuality" and resonance becomes the medium of discovery. When you "resonate" with someone, you find that the two of you are in accord. You and that person, although of different personal histories, are of one mind. When a group of people become one with the sound of a single target person’s voice, they each resonate with the subject in a different way. Each member of the group experiences different internal events (memories, images, feelings). A little later, when they share and explore the personal meaning of their own experiences, they find that those inner experiences reflect a personal connection with the target person—a shared interest, hobby, emotional pattern, or other piece of personal history . Sometimes their experiences zoom in on something significant about the subject, as in a "psychic reading," providing some helpful information to that person. Here again is one of the clearest signs of the intuitive heart. From all these years pursuing a new model of psychical research, one essential theme stands out. The rituals of the intuitive heart ask people to search within themselves and share something from their own experience that might be helpful to another person’s unexpressed need. This approach seems better than asking people to attempt to "be telepathic" and "read minds." The belief that we can read minds can easily turn into a belief that we have insights into another person, which can easily turn into a belief that we know what’s best for this person, which too often results in offering advice. The Bible, for example, warns against picking on the mote in the other person’s eye and ignoring the beam in our own. Research into the intuitive heart has affirmed the philosophy derived from intimacy research that we give more and do a better service to another person when we share of our own experience than when we give advice. I firmly believe that it is possible to enlist our intuitive abilities to be helpful to another person without having to give advice to do so. In fact, I have discovered that when we are willing to share of ourselves and to speak from the heart, we all can demonstrate the functioning of intuition. Here is the "ritual of discovery" that I have developed to demonstrate this fact. I call the ritual "in my experience" and it requires two people. One person serves as the client and the other person will be the intuitive "consultant." The client person focuses upon some personal concern or dilemma, but does not reveal what it is. The consultant first initiates an intuitive mode of functioning by shifting attention to the breath and relaxing, letting the breath flow naturally and unaided. An affirmation for this step might be, "I can trust in inspiration" and reminds the consultant that it is not necessary to force intuition, for it will come on its own, sponstaneously and naturally. For the second step, the consultant shifts the attention to the heart and experience the feeling of warmth and love, gradually letting this feeling expand toward the client’s heart, creating a fantasy of two hearts joined in love. The affirmation for this step might be, "I give myself permission to care enough for this person to share in the feeling of love and to share of myself with this person." The third step is to allow a personal memory from a past experience to spontaneously come to mind, trusting that it will be a memory that will prove useful to the client’s concern. The affirmation for this step would be, "I now allow to enter into my awareness a memory from a past experience, a memory that will stimulate in me insights that will prove helpful to my client’s concern." The consultant accepts the first memory that comes to mind, no matter how trivial, embarrasing, or seemingly irrelevant. The consultant describes aloud this memory to the client, as if telling a story. After describing this event, the consultant ponders aloud what lesson this experience has to offer. In an improvisational manner, speaking from the heart, in other words, the consultant fashions an insight from what he or she can now learn from that experience. Upon finishing making a teaching allegory from this spontaneous memory, the consultant asks the client to reveal the focus of concern and to respond to the teaching story. Here’s an example, taken from a workshop where I had the opportunity to participate myself. I was paired with a woman I didn’t know. As instructed, she had written her concern on a piece of paper but I didn’t know what it was. As. I sensed a heart connection forming with her, I recalled a time when I was mowing the lawn as a teenager. My mom was there, relaxing on the patio. I missed a patch of grass and as I went back to cut that missed patch I looked up to see if mom had noticed my error. I described this memory to my partner, then contemplated aloud its meaning in an extemporaneous manner. I noted that I was concerned about my mother’s approval and not arousing her criticism. As I sought for higher guidance concerning the lesson for me in this memory, I realized I wanted to please her so that she would be happy and have more nurturance for me. I expounded for awhile about the significance of that early experience for later lessons I would have to learn and habits I’d have to unlearn. My partner then revealed that what she had written was a question about whether therapy would help her with her relationship with her mother. She explained that her own son was showing some disquieting symptoms that reminded her of herself and her relationship with her own mother. She said my use of the word "approval" hit the nail on the head. She felt that my realization about the motivation for approval being to improve mother’s disposition was a crucial insight for her to apply in her own situation. He made a friend in New York where he was working as a taxi driver. He asked this fellow, also an immigrant, to write down on a piece of paper some problem, to see if Pepe could help provide better understanding. When Pepe held the paper, he recalled a time when he was a young boy and his father came home by surprise. His father worked in East Germany and lived away from the family, sending money regularly, but coming home himself maybe only once a year. Pepe was alone, without a father, most of the time. He got used to playing by himself. He remembered this particular day when he was playing in the house with his toys. "There was a knock on the door. I went to answer it and it was my father! He was not expected to be coming and it was so good to see him! We had a big hug! My father walked over to see my toys on the floor and he was pleased with what I was making with them. He got down with me and we played together and it was really fun!" Pepe said that when he had this memory it made him feel really happy. He reflected upon the memory for the lesson it contained. He thought that it was good that he could play alone and make himself feel contented. When his father came, it was very special, but he had to learn to help himself and that was very good. Pepe said his friend was very excited with his story. His friend had written, "Should I start up my new business with selling greeting cards?" Pepe didn’t understand how his story could be about selling cards. His friend explained, "I asked you this question because I prayed to God about this new business but God didn’t answer. Your story makes me realize something very important. Always I am praying to God about something, talking to God in my mind about this or that problem or question, getting angry with God that I don’t get an answer when I need it. I need to learn, like you did, the value of doing for myself. Then when God appears, it will be like a gift!" Pepe said he was pleased to hear his friend respond so positively to his story. What was even better, he said, was a week later his friend told him that he had started up his business and was really happy about it. "Our talk was not just words," Pepe said, "but made a difference in my friend’s life". Pepe was really glad that he was able to help. He was also surprised, delightfully mystified, by how his memory came to him and had such effect. "This business of being intuitive," he said with a big smile, "is so amazing!" This ritual of sharing, "in my experience," has proven that people have an uncanny ability to come up with healing stories that profoundly touch someone they care to help. As humans we have much in common and thus our experiences are potentially helpful to each other. Our intuitive ability thus can be brought into the service of finding these helpful connections. Here intuition and intimacy show their inherent relationship. Finding connections with another person through such subjective experiences creates an intimate bonding between the participants. A feeling of closeness comes from discoveries of common interests, mutually important emotional experiences, even secrets. Most significant, the "psychic functioning," marvelous as it may be, is no longer the focus of attention. It has become transparent, allowing the two people to enjoy the felt sense of spiritual community it helped create. Consider this analogy from history. When the telephone was invented, people focused on the marvel of the apparatus itself and would say only silly things to each other. "Hey, hey, can you hear me?" Now we take the apparatus for granted and we focus on having meaningful conversations. The same can happen with intuition. In these rituals of discovery, people focus on their connections with each other, rather than on the intuition that helped them realize those connections. It is increasingly clear to me that experiencing from within ourselves our connection with others is an essential spiritual perspective. We can intellectually affirm our inherent unity, and create moral imperatives expressing that perspective. But in spite of those affirmations, our physical senses continue to inform us that we are separate from each other. It is only through intuition, or knowing from within, that we can directly experience this unity. Intuitive awareness can thus become a path to spiritual experience. To Read What the Experts Say, Click Here! To see commentaries on this article, click here!